Android apps and games are very much popular among everyone. Whether they are children, youngsters, adults or older ones, everyone loves to play android games and apps. Besides from the restriction that android apps and games can only be played on android devices like android smartphones and tablets, there was a great demand to drag it to multiple platforms so that the people that do not have access to high priced android smartphones and tablets can also run those apps and games. Taking in consideration these demands, the developers tried to make android apps and games easily runnable on other devices. As a result of their continuous efforts, android apps and games can now thankfully be played on your Google Chrome browser as well. There is no restriction that the browser should be vendor dependent. 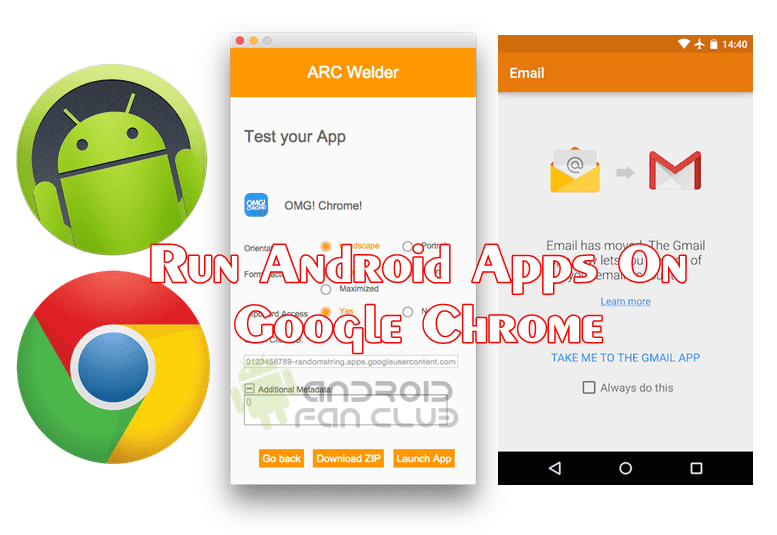 You need a Google Chrome browser to run an android app or game whether it is on Windows, MAC or LINUX. I am going to explain the step by step procedure that can be applicable to Windows and MAC. The process can be made possible by an extension called ARChon Extension. However, not every game and app can work on Google Chrome using this extension. But you can try your favorite ones as the process does not harm your system. Launch the ARChon Extension link and save the ZIP file on your desktop. The link is provided above. The extension is a large file so it may take some time to download, don’t panic. Extract the zipped file on your desktop. Launch Google Chrome and click on menu in the top right corner. Select “More tools” from the menu followed by “Extensions”. The browser will open the extensions page where all of your installed extensions have been displayed. Check the “Developer Mode” box on the extensions page. The developer mode will enable you to download the extensions which are not available at the Chrome store. After that, click on the “Load unpacked extensions” button then upload the extensions folder from your desktop. Now you need any APK file that will be converted to ARChon supported format. You can download your favorite Android APK Apps & Games from the internet. Google is your friend in that case. Probably you can also read an article where I had shown How To Download Android Apk Apps on PC? – Note that not every APK file will work, however most of them will work on Google Chrome following this guide. Now download TWERK app from Google Chrome store on your PC. Add the app to your chrome browser when a prompt appeared asking you to add it or not. After that, open the apps page by typing “chrome://apps” in your browser and launch “twerk”. Twerk should ask for the APK. Drag and drop the APK you copied on it. When you drop the APK file, some fields are filled for you. Enter the name of the application for which the APK file is dropped and click on the pink android button on the bottom. Select the location where you want to save the converted file and click “Select”. The screen will show that the application (name of application) has been built. Open extensions in your browser by typing “chrome://extensions” and again click on “Load unpacked extensions” and add the converted APK file. Open apps in a new tab by typing “chrome://apps” in the browser after the APK folder has been imported. You should see the converted app there. Click on the app and you are good to go. Now play your favorite apps and games in your Google Chrome browser while working on PC and stay productive. Do try your favorite ones and let us know in the comments which apps have worked using this extension.